To help make ends meet, the Musgrave family decides to rent out one of their rooms. A lodger arrives in the shape of Doctor Fell, a grim, rather menacing man, who soon begins to dominate the household. As time passes, his increasingly peculiar behaviour, together with the map of Whitechapel and the surgical instruments found in his room, raises suspicions that the Musgraves have none other than Jack the Ripper living in their house! Listen to the title music on YouTube. The cast includes Charles Hawtrey, who became one of the stalwarts of the “Carry On” films. He also worked for Hammer in “Five Days” (1954). 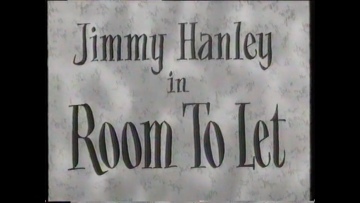 Three more names appear in Hammer credits for the first time here – John Gilling, Jimmy Sangster and James Needs, the Editor who was to piece together most of their great shock sequences. This is Jimmy Hanley’s only appearance for Hammer, he died in 1970 the same year that his daughter, Jenny Hanley, made her only appearance for Hammer in Scars of Dracula.